Fe loves working with each patient and getting to know them individually and really enjoys helping patients who are undergoing full-mouth reconstruction in particular. 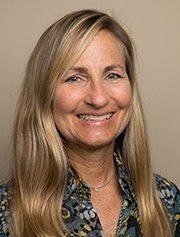 She loves seeing the changes that happen as Dr. Freyne develops and gives patients the smile that they have dreamed. Fe is excited to witness their happiness when they’ve finished treatment and can smile with confidence. Fe's workday is very patient-focused, and it begins with welcoming patients as they arrive to ensure that they are comfortable, relaxed, and happy during their treatment. She take dental X-rays and impressions, prepares bleach trays, and assists Dr. Freyne chairside during procedures. 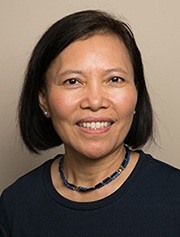 Fe was born in the Philippines and is now living in Silver Spring, MD, where she is happily married to her loving and caring husband Raymond. They are active members in the Catholic Church and teach religious education on Sundays during the school year. Once or twice a year, they take a road trip to New England to visit Raymond’s mother and other relatives. Merrilea is originally from Erie, Pennsylvania. She attended Case Western Reserve University in Cleveland and graduated from Fayetteville Community College. 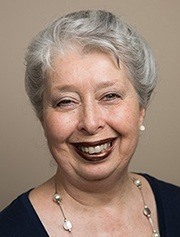 She and her husband, Mike and their two sons spent 20 years in Europe with the U.S. military where she got lots of hygiene experience working for a German dentist in Munich and for the Army in Belguim. Her greatest joys are her amazing grandchildren and traveling with her husband. Also, high on the list are staying up too late reading. Okay – and shopping, too! Professionally, satisfaction comes from working together with patients to help them have the cleanest, healthiest mouths ever. Rossana, a native New Yorker, was fortunate to have been raised in Puerto Rico for 10 years of her life. 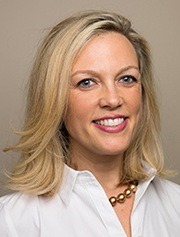 She attended the University of Medicine and Dentistry of New Jersey (New Jersey Dental School) before moving to Montgomery County, Maryland where she currently resides. In addition to her traditional dental training, Rossana attended the American School of Equine Dentistry in 2012 giving her an opportunity to help horses with their dental concerns, another part-time passion of hers. In Rossana's spare time her interests include traveling with friends and family and biking. Cindy is a native of Maryland. She enjoys making sure every aspect of the office is running smoothly. When Cindy isn’t greeting patients and working with vendors, she also provides facials and skincare advice. She has been an aesthetician for eighteen years and loves taking care of her clients and making sure they look and feel they’re best. Outside of the office Cindy loves spending time with Ronan, her husband and dog Keely. She also enjoys hiking and running.